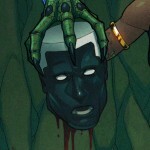 At pretty much every comic book shop across the U.S. and perhaps the world, the monthly Previews catelogue can be found. And it is one of the most important, and fantastic resources for anyone who regularly buys comic books and comic book related stuff. When I first started hanging out regularly at my local comics shop, many others would browse the catelogue, but initially it was something I simply saw other people use. Now, I don’t go a single month without scouring the pages and ordering up. Below I’m going to cover what Previews is, how to approach it as a reader of comics, and how to order lots of cool titles and other stuff through it! 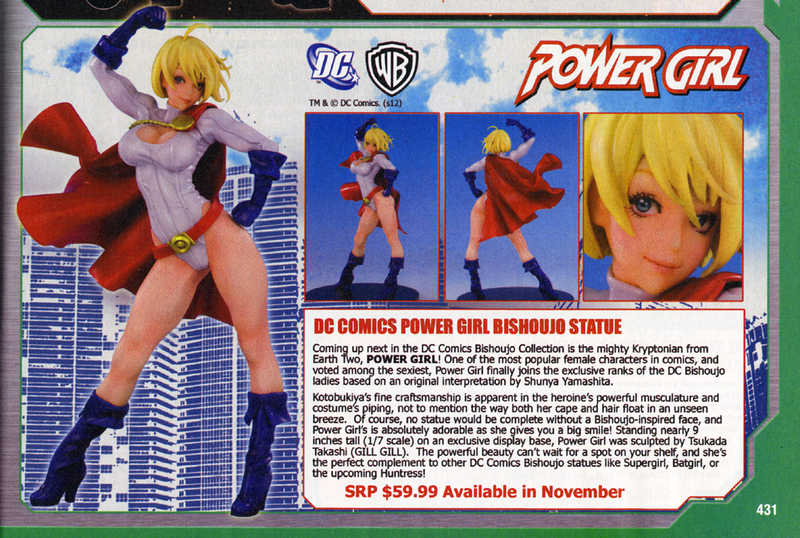 Power Girl Bishoujo Statue, available through Previews no.286, p.431. So of course I’ve got to write about how people can order it now!!!! • You can drop into a comics shop and pick up titles like Superman, or World’s Finest, or Astonishing X-Men right off the shelves, in stock, at the store. • You can have a “pull list” in which you have an ongoing relationship with the store. A “pull list” is when there are specific monthly titles which you pick up, follow, and read, and then you tell the comics shop your name and that you want them to be sure they order and set aside copies of those titles for you to pick up. This way, they always order enough for everyone who has the title on their “pull list,” plus extras for people to pick up off the shelves. In Previews, if you see a monthly title coming out in a few months which you wish to add to your pull list, just let them know. An example might be, Sword of Sorcery (on page 84 of the July 2012 Previews). It hasn’t started coming out yet, but seeing it in the latest Previews catelogue, I let my comics shop know to add it to my pull list. If you have a pull list, when a title comes out and you drive, or bicycle, or walk on down to your local shop (mine is only a block from my house), since you have an ongoing relationship with the shop in this manner, they may pull out the titles for you as soon as they see you come through the door every week. It is a wonderful social relationship. If there is a monthly title that flipping through the them you decide you don’t want, in most instances, you can just tell them it wasn’t what you were expecting, hand it back and ask them to drop it from your pull list. They’ll simply put the title out on the shelves for someone else to get. If after getting home and reading a title, if you wish to discontinue it from being on your pull list, then just let them know during next expanse you drop in. And that’s how pull lists work. • Lastly, you can also order non-monthly titles such as trade paperbacks, and also T-shirts or figurines – all found in Previews. They aren’t ongoing, but it is part of having a ongoing relationship with your comics shop. And when you come in to pick up monthly titles — as non-monthly stuff does comes in, they’ll set it aside for you to pick up along with your monthly pull list items. For these non-monthly titles and items, either in the Previews catelogue or available elsewhere in the comics shop are Previews order forms. Or print one out here. 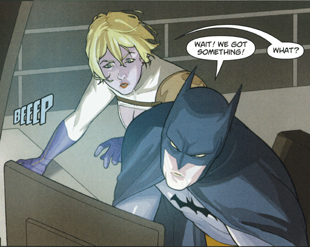 So every week or month or whenever you drop in, you can browse the shelves for new, interesting, and wonderful titles to read and potentially add to your pull list and get comics-related stuff, and you can browse the monthly Previews catelogue to add items to your pull list or to order non-monthly items. And that’s how comics shops work! 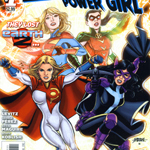 Previews is published by Diamond Comic Distributors. Every month major and minor comics publishers have Diamond list the comics and related products which they have coming out about three months from when the latest Previews comes out. 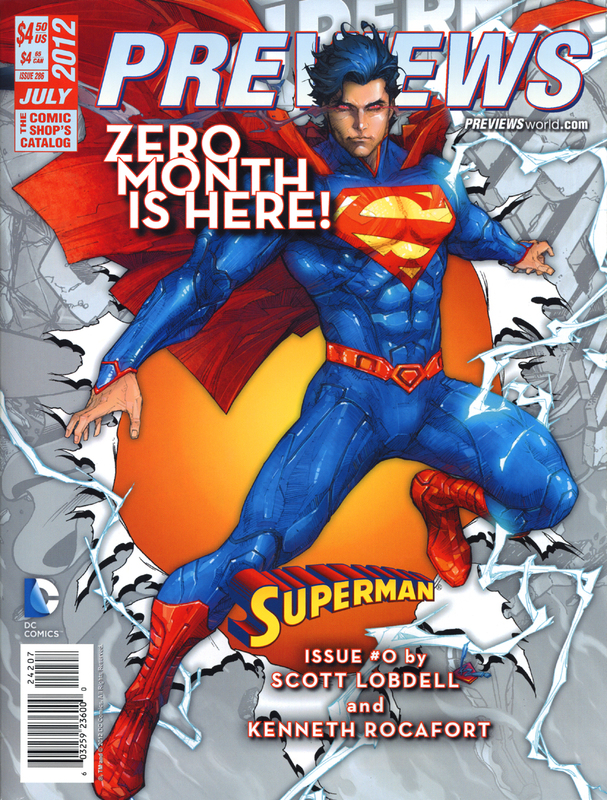 Most of the titles and items in the monthly Previews have not even been published yet, that’s why it’s called “Previews.” As such, folks have a heads up of what’s coming down the pike and are able to put in their orders for things they’d like to enjoy. • Monthly titles. 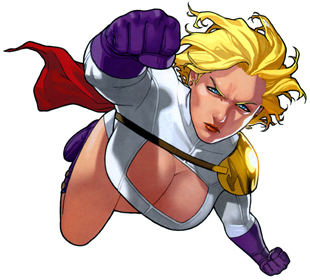 Superman, World’s Finest, or Astonishing X-Men are all examples. They come out with an edition every single month and are usually numbered accordingly. • Trade paperbacks. These are collections of the monthly titles – compiled together for you to buy all at once in usually a paperback book form. This way you can read an entire larger story arc of a monthly title by utilizing one or two trade paperback editions. A great example of this is Straczynski’s entire “Grounded” series, which can be read in two trade paperbacks: vol. 1 and vol. 2. Trade paperbacks also include one-shot stories so large and/or unique, that they are published only in a book form. Some of these are referred to as “graphic novels,” such as Straczynski’s Superman Earth One, but it also includes children’s titles such Owly, which I purchased through Previews earlier this year. Manga are also a form of trade paperback. • Non-book items. These include comics-related T-Shirts, hoodies, hats, mugs, figurines, action figures, models, trading cards, toys, lego sets, watches, seasonal items such as Halloween costumes, lunch boxes, light fixtures, key chains, refigerator magnets, posters, boardgames, roll-playing gaming supplies, DVDs, and CDs. 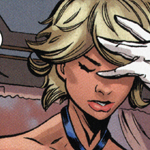 If it’s comics-related, Previews lists it. Your local comics shop will carry all of these types of items too, but Previews allows you to pre-order them all before they come out. Or course, you can do pre-ordering of titles and such through sites like amazon.com, but this is THE comics specific CATELOGUE. It’s simply an unparalleled resource. 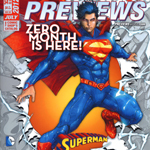 Even going to the previewsworld.com website, even their online presence browsing that site cannot hold a candle to the high quality, depth, and vastness of a hard copy of Previews. As well as the main catelogue, one should be aware of two additional Previews catelogues. In another expanse, Marvel decided that they wanted their very own Previews catelogue, and it’s called “Marvel Previews.” In your local comics shop, you should find them located right next to the main catelogue. If you’re having trouble finding Marvel Previews, simply ask for some help and someone will direct you to it. And lastly, Previews has an “Adult Supplement” edition available to browse in the store or it can be browsed online here. They usually don’t get the latest Adult Supplement posted to that link til about a week or two after the latest Previews comes out. For supplement items, you can either use the order form accompanying it or simply add items directly onto the main catelogue order form. Also, some comics shops may charge you for the catelogue ($4.50 in the U.S.), others you can simply browse in the shop, and other shops will even let you take it home to browse it for free – as long as you bring it back later for others to browse and order from. That’s what usually happens the most at my local shop, people just pick up a Previews and bring it back the following week with a list of titles to add to their pull list, and other titles and items they’ll be ordering through the shop. 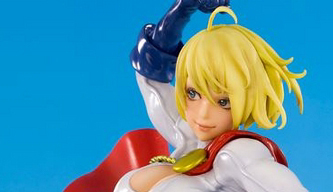 In this instance, if you are super duper into Power Girl, and you see the statue of her available through Previews, now you know how to pre-order one for yourself! 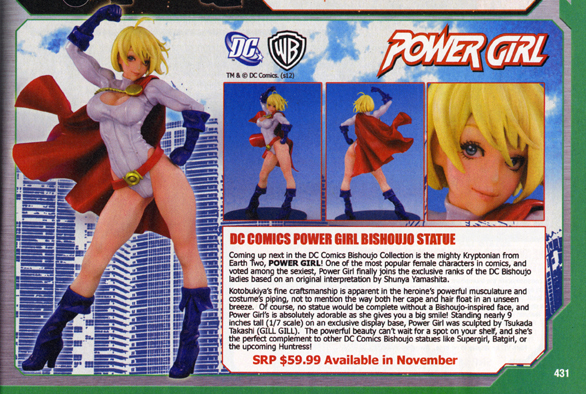 And if statues/figurines/dolls are not so much your thing, at least this gives you a great introduction to what this catelogue is, how to use it, and in the next noticed expanse in which you see it and notice something Power Girl related in it, now you can order it without a single problem. :) Yay!